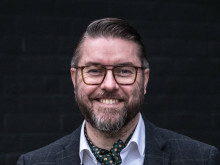 Many months of hard work is now over, and the result is presented today in the form of a poster with 41 acts ranging from the legendary Grace Jones, pop sensation Sam Smith, hip hop kings Wu-Tang Clan, the phenomenal Antony and the Johnsons with the Aarhus Symphony Orchestra, and the most requested NorthSide act ever - The Black Keys. 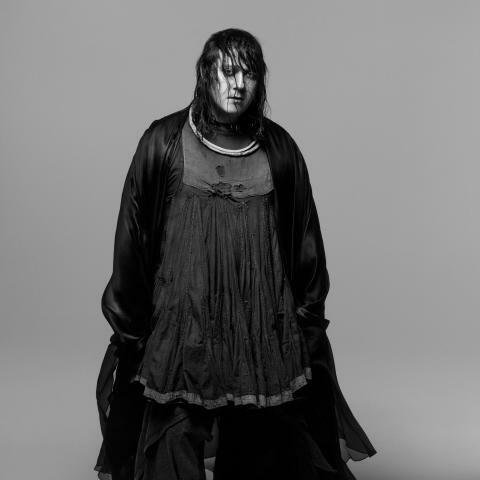 With the publication of the poster we’ve also added the last five names to the poster, and among them you will find Antony and the Johnsons, who has teamed up with the Aarhus Symphony Orchestra for the occasion. 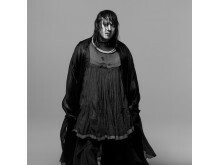 The unique singer Antony Hegarty has an uncompromising and challenging career behind him, where the Mercury Prize-winning masterpiece "I Am a Bird Now" and the album "Cut the World" stands as highlights. The latter was recorded in 2011 with the Danish National Chamber Orchestra for two acclaimed concerts in Copenhagen, and this amazing music will now be recreated at NorthSide. Also added is Norwegian Emilie Nicolas, who has impressed with the hit "Pstereo" from the terrific debut album "Like I'm A Warrior" and the two Danish names S!vas and Rangleklods. S!vas has redefined Danish hip hop and introduced so many new words to the Danish language that last year he was honoured with the GAFFA Special Award for his pioneering music, and the duo Rangleklods is after a ton of concerts at major European festivals both ready with a new album and ready to present their intelligent and nuanced club music at NorthSide. Last but not least, The Minds of 99 will return to NorthSide after a year of tremendous success. The debut album had only just landed when they took to the P6 BEAT Stage last year and delivered a level of energy and joy that was not surpassed for the rest of the festival. - In total the poster represents a focused program with a common thread, where we have not been afraid to make a surprising detour to blues, soul, electro swing or for that matter genres, there are no words for yet. I'm very happy with the overall result and am totally happy and proud that we have managed to gather so many great names in one place. The spokesman for NorthSide, John Fogde, also points out that sales are strong for this year's festival. Friday and Saturday are already sold out for, and Sunday tickets will soon be gone. So a recommendation goes out to buy tickets now before it's too late. Last year the festival was sold out of all ticket types in early May. The official program for NorthSide 2015 goes as follows: Alt-J, Antony and the Johnsons, Ben Howard, Broken Twin, Calexico, Carl Barât and The Jackals, De Eneste To, Death Cab for Cutie, Earl Sweatshirt, Emilie Nicolas, FKA Twigs, George Ezra, Go Go Berlin, Grace Jones, GusGus, Incubus, Interpol, Jack Garratt, John Grant, José González, Little Dragon, Matthew E. White, MØ, Placebo, Rangleklods, Sam Smith, Savages, Scarlet Pleasure, Seasick Steve, S!vas, Spids Nøgenhat, St. Paul and the Broken Bones, The Black Keys, The Jesus and Mary Chain, The Minds of 99, The Parov Stelar Band, Ulige Numre, Underworld, Wolf Alice, Wu-Tang Clan, and Years and Years.